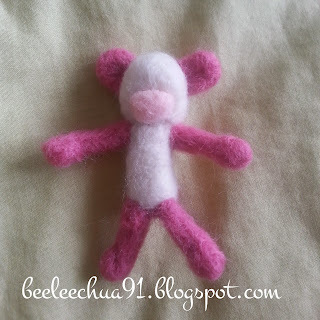 Making a doll out of a wool felt was my first experience (24122013). 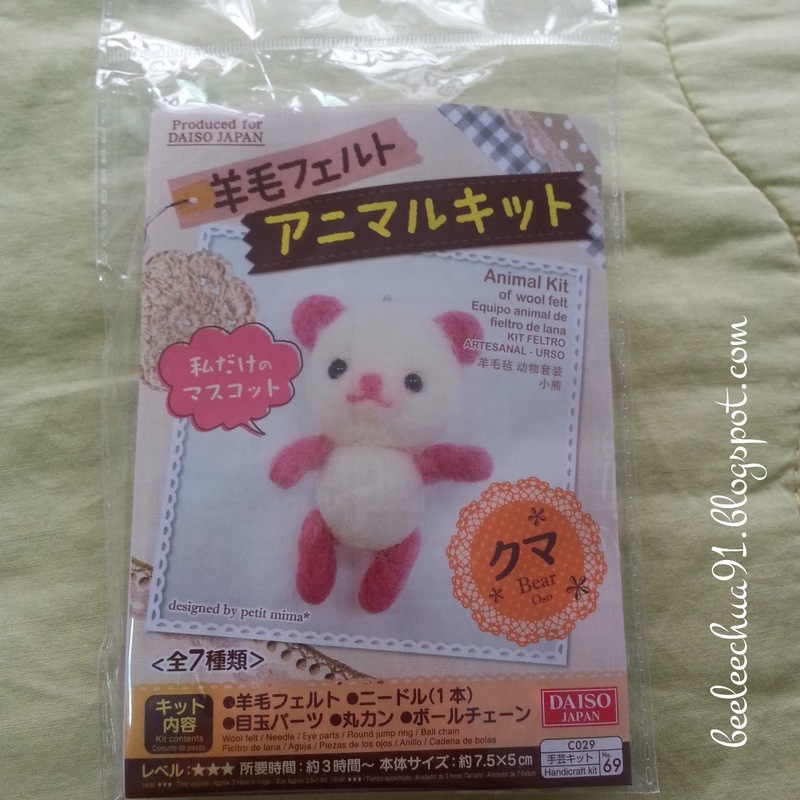 Basically I bought this item from DAISO. 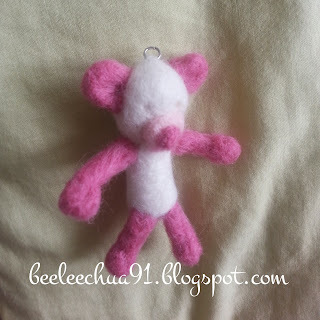 I wanted to make this thing as I had a growing interest in it since I saw Bubzbeauty's YouTube channel some time ago. 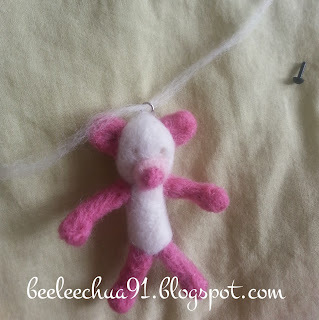 To be very honest, this hobby requires a lot of patience and concentration for me. I took approximately an hours plus in shaping it's head with 1/5 of the white wool felt. Altogether it needs 3/5 of the white wool to achieve a solid round head. Imagine the time and effort needed to complete this whole doll in achieving a solid base. 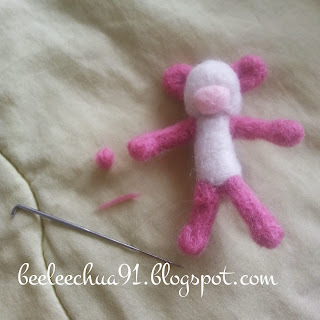 You have to be very careful as the needle is sharp and I did poked myself several times. 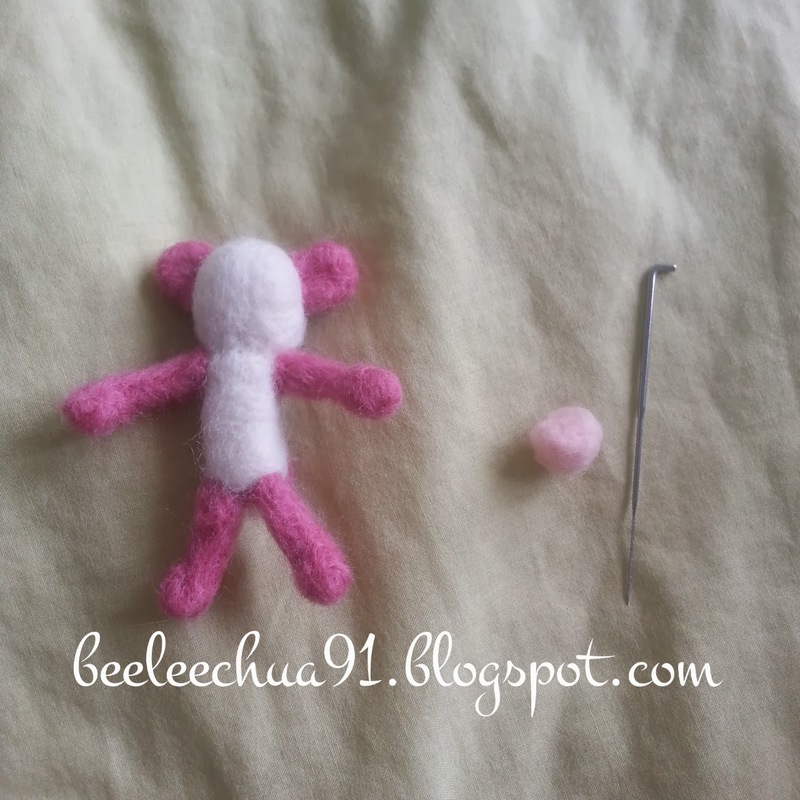 I have poked and bled in finishing this doll. There is not much a pain just that it stings the moment I poked myself. It is unfortunate that I broke the needle around 3am on the 25th cause I wasn't concentrating and did not pull out the needle vertically as mentioned in the instruction paper. This little incident made my whole work put to a halt. That is why I can't post this on time. At the same time, I did try using the normal sewing needles but it didn't work. I did too tried to hold the broken piece and continue to do the poking motion but still it didn't work. It's irritating as I thought I could hurry and complete it for his Christmas present. Too bad. Now I can only continue when I get a hold of the needle. 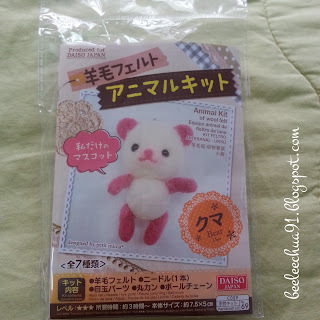 On the 30th I went to DAISO in Sunway again to just purchase the needles that comes in a pack of 4. 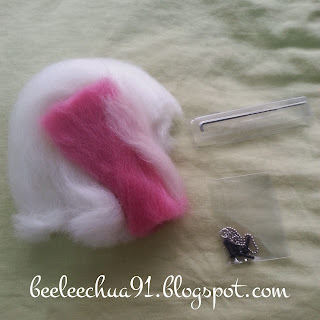 At the same time I have purchased a pack of wool felt with three colours, they are the dark purple, lavender and white. I haven't think of what to do with it yet so it'll just be in my drawer. 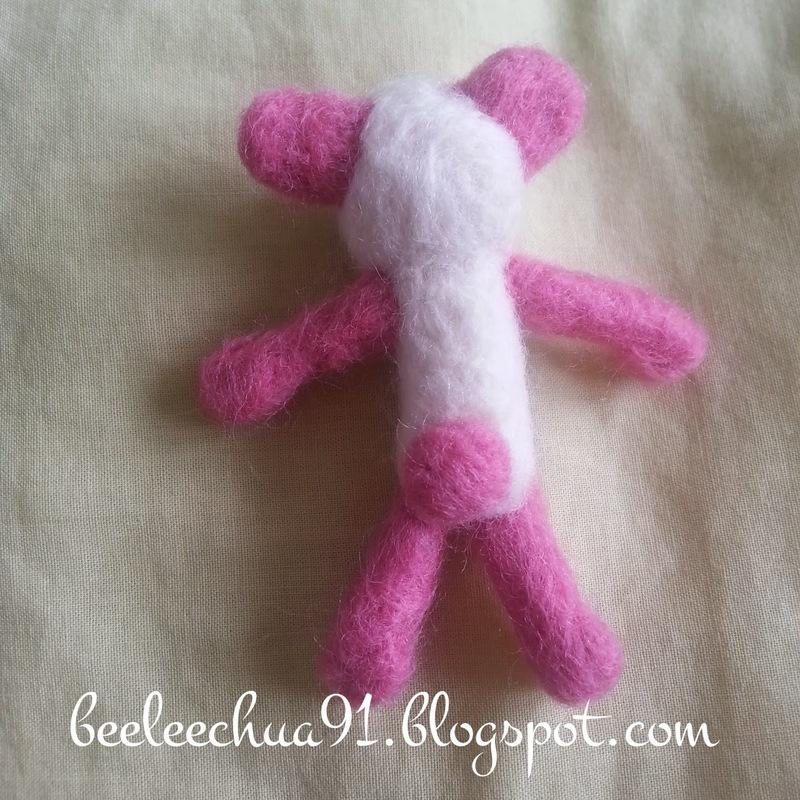 This is the back view of the doll with the limbs, tail, ears, head and body attached. (FYI: For the limbs and tails alone, I used approximately three hours with the mind tired and blank. The reason why it is only three hours is cause my needle broke). 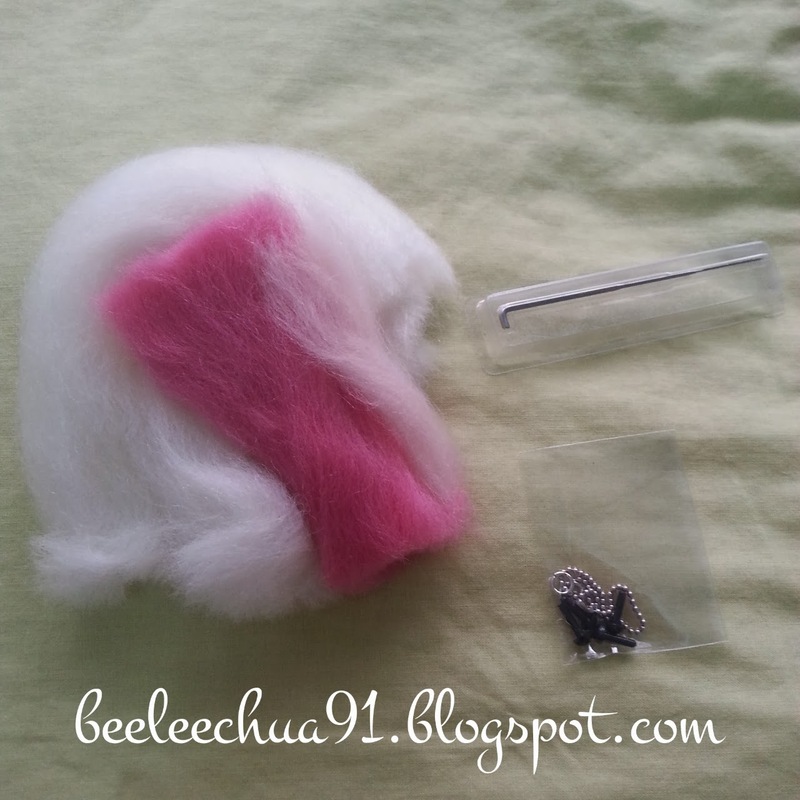 >.<"
Next, I have attached the mouth part of the bear using the light pink wool felt provided. 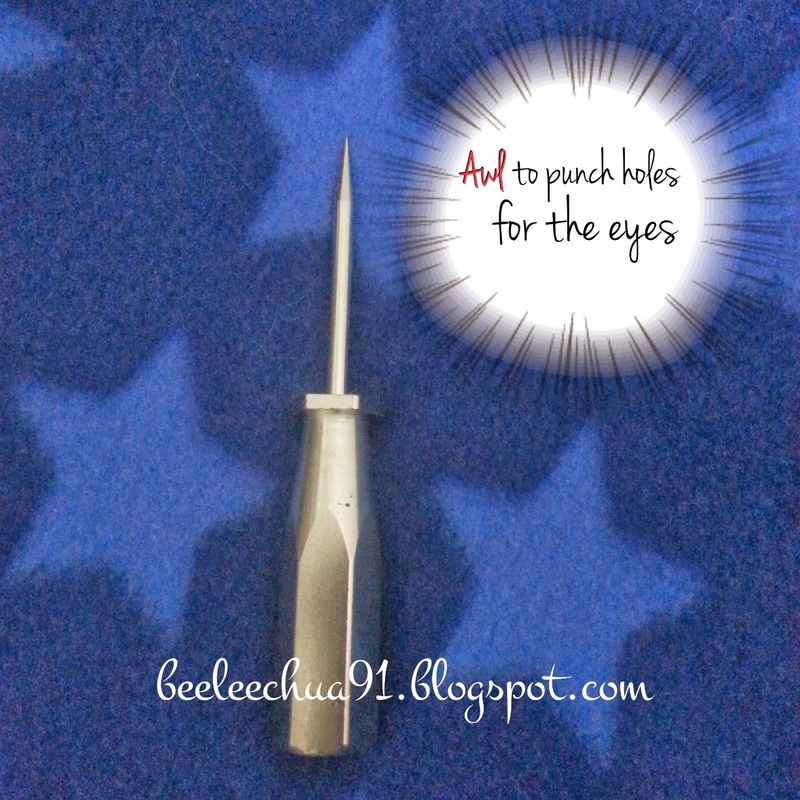 Before I continue further, I would like to introduce you to the handy tool to puncture the hole for the eyes as seen in the picture above. This tool is called the "awl". Initially I did not have this tool and I can hardly puncture any hole deep enough in placing the eye pieces. It was a panicky time as my time is short. So I quickly head out and luckily got the awl. It was a whole lot easier. Little strength is needed in making the hole deep enough to place the eyes. Do remember to also purchase or make your own craft glue. This glue will be applied to the stick of the eyes so as to have a stronger grip when placing it in the hole of the eyes made. In my case I failed to get a craft glue and ended up using my readily available base coat nail polish that is in my room. The awl I bought is a metal kind. You can also buy the wooden kind. I also used the awl to make a hole for the jump ring to go through and secured it with a reasonable amount of white wool felt. 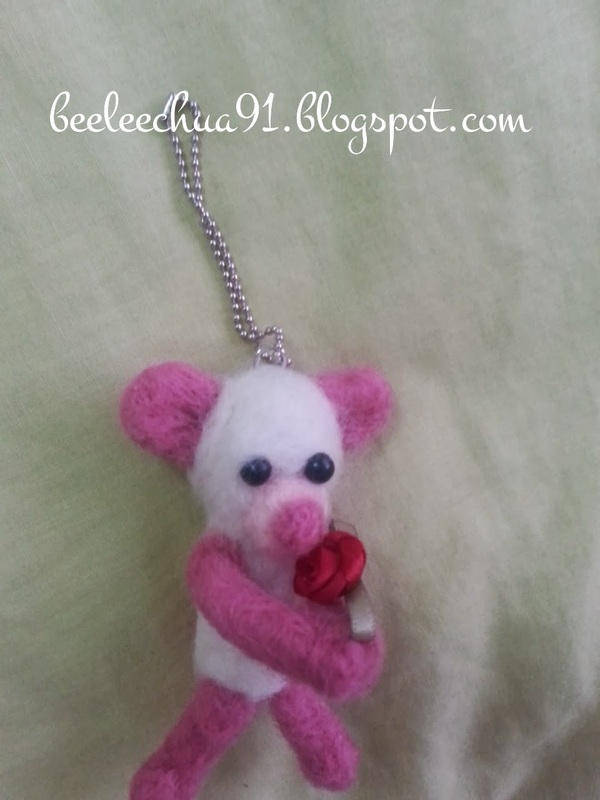 This is the end product of my improvised skinny version of the bear holding a rose in it's hand. 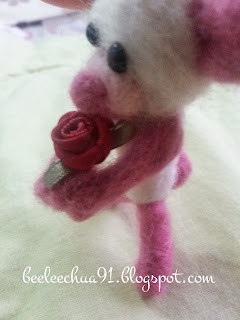 The rose I have secured it with the remaining dark pink wool felt as I failed to stick it on the hands of the bear with my nail polish. Argh.